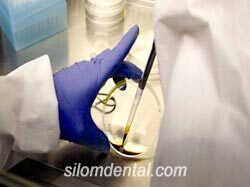 Tooth stem cells are stem cells found in the "deciduous" or "baby" teeth of children and wisdom teeth or third molar teeth of adult. Recent studies show that baby teeth and wisdom teeth stem cells appear to have the ability to develop into more types of body tissue than other types of stem cells. This difference opens the door to more therapeutic applications. Stem cell therapy is emerging as a revolutionary new way to treat disease and injury, with wide-ranging medical benefits. It works by introducing stem cells into an area where the normal cells have lost their function due to disease or damage. The stem cells then replace or repair the damaged cells and restore normal function. If ever your child's tooth or wisdom tooth cells are needed in the future, whether to treat a disease or repair an injury, they will be available ready for use. Different Types of Tooth Stem Cells. Adipocytes have successfully been used to repair damage to the heart muscle caused by severe heart attack. There is also preliminary data to indicate they can be used to treat cardiovascular disease, spine and orthopedic conditions, congestive heart failure, Crohn’s disease, and to be used in plastic surgery. Chondrocytes and Osteoblasts have successfully been used to grow bone and cartilage suitable for transplant. They have also been used to grow intact teeth in animals. Mesenchymal stem cells have successfully been used to repair spinal cord injury and to restore feeling and movement in paralyzed human patients. Since they can form neuronal clusters, mesenchymal stem cells also have the potential to treat neuronal degenerative disorders such as Alzheimer’s and Parkinson’s diseases, cerebral palsy, as well as a host of other disorders. Mesenchymal stem cells have more therapeutic potential than any other type of adult stem cells. 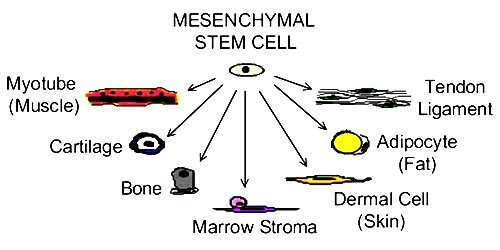 MSC’s are nonhematopoetic stromal cells that are capable of differentiating into and contributing to the regeneration of mesenchymal tissues. They were first identified in bone marrow. They are a rare cell type and in BM they make up about 1 in 10,000 nucleated cells. They are not immortal however they are capable of many population doublings in culture without loss of functionality. When delivered systemically they migrate to sites of injury in animals. This property is called “homing”. MSC’s are regarded as nonimmunogenic. They also show the ability to suppress T cell activation. 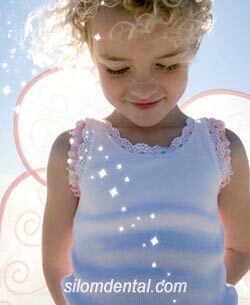 Tooth Cell banking is a proactive decision parents all over the world are now making. With years of potential health benefits in return for simply saving your children's teeth, it's easy to see why. 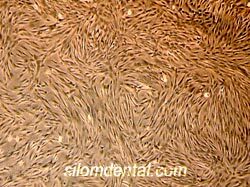 When we receive the tooth all the cells are isolated. We confirm the current health and viability of these cells. 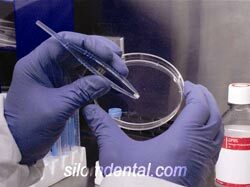 We cryopreserve the tooth cells for your future use. 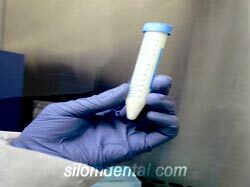 The sample is then divided into four cryo - tubes and each part is stored in a seperate location in our cryo-genic system. This means that even in the unlikely event of a problem with one of our storage units, there will be another sample available for use. The cells are preserved in liquid nitrogen vapour at a temperature of less than -150c. This preserves the cells and maintains their potential potency. Not all teeth hold the same tremendous potential. The teeth shown in red on the diagram here have been published to contain these unique types of cells. As indicated, the primary molars require special attention and processing. 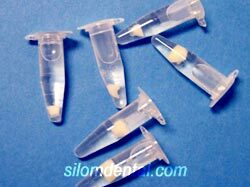 Please contact us to discuss whether storing the cells from one of these teeth is appropriate for your situation. The first 48 hours after the tooth is out of the mouth are critical. 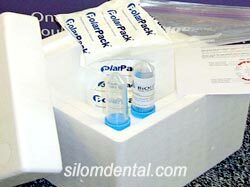 The tooth must be prepared, packaged and shipped and received at laboratory during this time to maximize a successful isolation. The most important contribution you can make to the success of this process is to be prepared in advance for the next time your child's tooth or your wisdom tooth becomes loose.